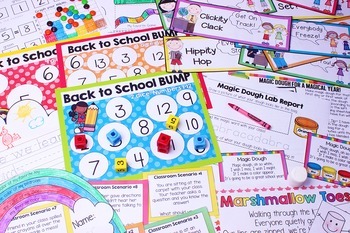 This back to school unit is packed with back to school lessons, activities, all about me printables, bulletin board ideas, math lessons, classroom management and behavior tools, games, posters, chants, a take-home project for the first day of school, a magic dough activity and experiment, and more! There are over 90 pages of ideas in this back to school pack to make planning your first week and even your first couple of weeks together engaging, exciting, and easy! The first week of school is a magical one for our students - filled with fun and learning, as well as a thirst for what’s to come throughout the school year. 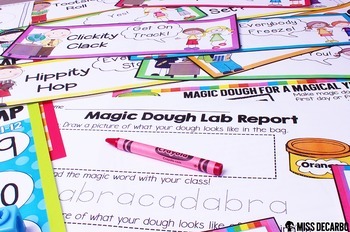 I know your kindergarten through second-grade students will just eat these activities up! The activities contain differentiated pages so that you can choose the printable and activity that best meets your students’ and grade level needs. 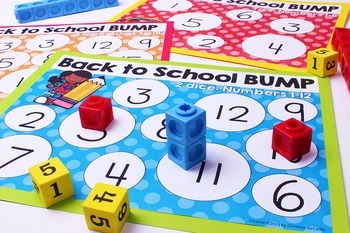 There are also both color and black-and-white printing options available for the class book and games. This pack is a collection of what I do with my students during our first week together, however, most of these activities could be used at any time of the year! “Our Class Rules” Class Book with differentiated book pages. Please download the Preview Version to see a glimpse of what is included in this back to school pack! I hope you have fun and enjoy these back to school activities as much as I do with your students.